Zebra mussels are listed as an injurious species under the federal Lacey Act. They are regulated in some way in all states west of the 100th meridian. The zebra mussel (Dreissena polymorpha) is a small bivalve mollusk with two matching half shells. Its name is derived from the striped pattern on its shell. The zebra mussel originated in the Balkans, Poland, and the former Soviet Union and was introduced in 1988 into the Laurentian Great Lakes (See Figure 1) as a result of the discharge of contaminated ballast water which contained free swimming zebra mussel larvae, called veligers (Mackie et al. 1989, Griffiths 1991). 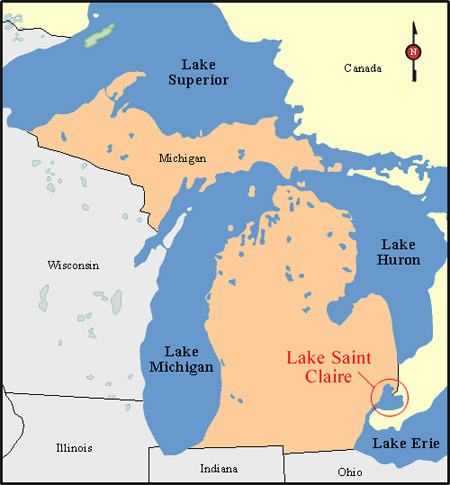 They rapidly dispersed throughout the Great Lakes and major river systems from the Mississippi River east due to their: 1) high fecundity (as females can produce up to one million in a spawning season), 2) downstream drift of veligers; and 3) ability to attach themselves to boats and move overland to uninfected waters. Zebra mussels are now found in 22 states and two Canadian provinces (See Figure 2). Recreational watercraft are seen as the most likely vector to move zebra mussels from infested waters to uninfested waters in the West. In California alone, from January 2000 to January 2006, the California Department of Agriculture reported 64 cases of zebra mussels attached to watercraft intercepted at agricultural check stations. Zebra mussels, both dead and alive, have also been found attached to watercraft in Colorado, Montana, Washington, Utah, Nevada, and Arizona. The zebra mussel is one of the most economically damaging aquatic organisms to invade the United States. Its destructive power lies in its sheer numbers and its ability to attach itself to solid objects: water intake pipes, propellers, boat hulls, dock pilings, submerged rocks, and even other aquatic animals. Zebra mussel populations can reach astonishing densities, up to 750,000 individuals per square meter in layers more than a foot thick (though lower densities are more common). If introduced into the Columbia River basin, zebra mussels could threaten the health and survival of native salmon and steelhead stocks, many of which are protected under the Endangered Species Act. Zebra mussels would likely attach themselves to fish ladders, fish diversion screens, and other pipes and conduits that sensitive salmon species use to make their way around dams. As a result, expensive maintenance of facilities could be required and physical damage to adult and juvenile salmon ultimately reducing survival of these imperiled fish stocks. In the event of an invasion, the economic impact to the Northwest’s power generation capacity could be significant due to costs associated with zebra mussel control. Those facilities that primarily rely on raw water as the source of water will be at greatest risk. These could include turbine cooling systems, fire suppression systems, fish passage facilities, drains and sumps, and certain monitoring facilities such as forebay/tailwater sensors, oil/water separators, and dissolved gas monitors (Athearn and Darland 2006). The Bonneville Power Administration commissioned a study of the costs associated with zebra mussel control on hydro-power facilities in the Columbia River (Phillips et al. 2005). The study found that the one-time cost for installing zebra mussel control systems at hydroelectric projects could range from hundreds of thousands of dollars to over a million dollars per facility (click here to see the study). In addition, zebra mussels would have significant and costly impacts on irrigated agriculture, domestic water supply, navigation, boating, swimming and other forms of recreation. Estimates of ex-vessel value for Council-adopted 2005 non-Indian commercial troll salmon fishery: $1.798 million. Coastal community income from recreational ocean fishery in 2004: $7,625,000. Idaho: In 2001 anglers spent a total of $311 million in Idaho on travel, lodging, meals, equipment, licenses, and other items related to fishing (USFWS and Bureau of Census 2003). 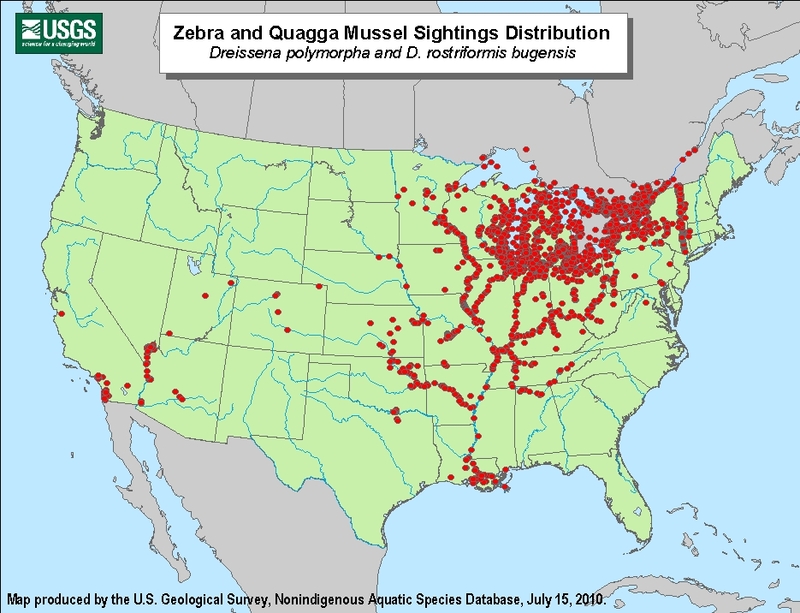 Figure 2: Zebra and Quagga Mussel Sightings Distribution. Athearn, Jim and Tim Darland. 2006. Bonneville Project Response Plan for Zebra Mussels (Dreissena polymorpha) (Appendix); in: Heimowitz, Paul and Stephen Phillips. 2006. The Rapid Response Plan for Zebra Mussels in the Columbia River Basin (Draft). Pacific States Marine Fisheries Commission and US Fish and Wildlife Service, Portland, Oregon.